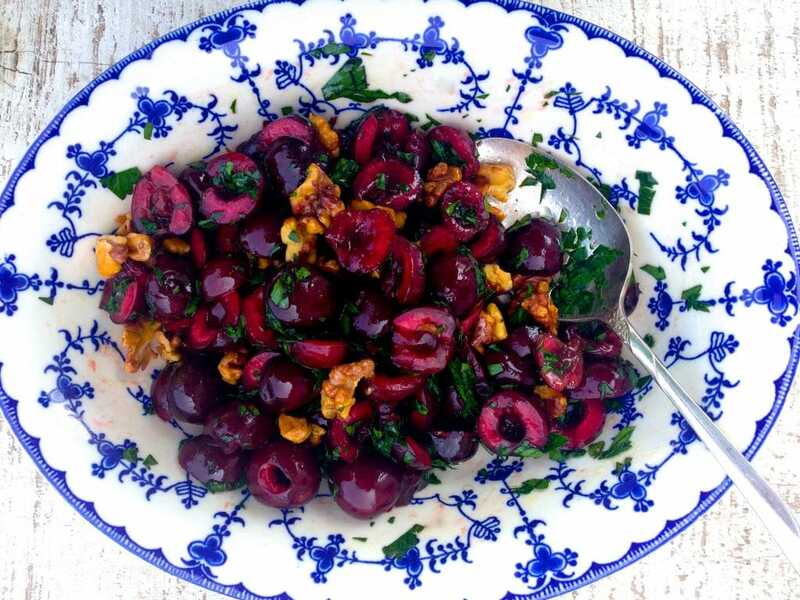 This unexpected pairing of cherries in a savory salad of Cherries with Parsley, Walnuts, and Pomegranate Vinaigrette is DIVINE! Use an excellent pomegranate molasses like this one from Maureen Abood Market. I have been turning out lots (and lots) of pies lately. This, however, is not a post about pie, but anyway: A few of the pies we give away, but most…we eat. That means I’ve also been turning out lots (and lots) of miles running. You’ve gotta pay to play, and as Dan has told me, bridal boot camp doesn’t end when you get married: It’s just the beginning, girl! And I agree. 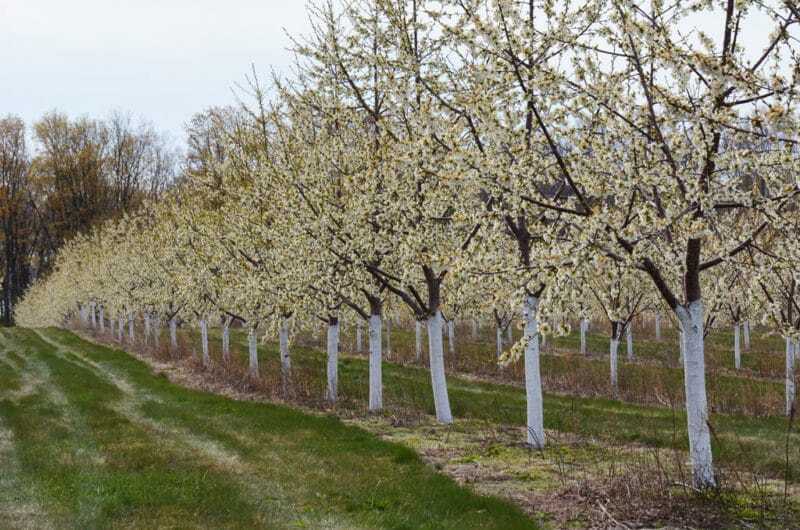 Most every pie this spring and summer has included at least a handful of tart cherries. The tarts, the sours, they are the darling of our region Up North, and just to make you jealous I will tell you that we can find them frozen all year up here at the IGA. For the fresh ones, we await their soft, vibrant, sour little selves with truly baited breath, and when they get here, we go kind of bonkie. 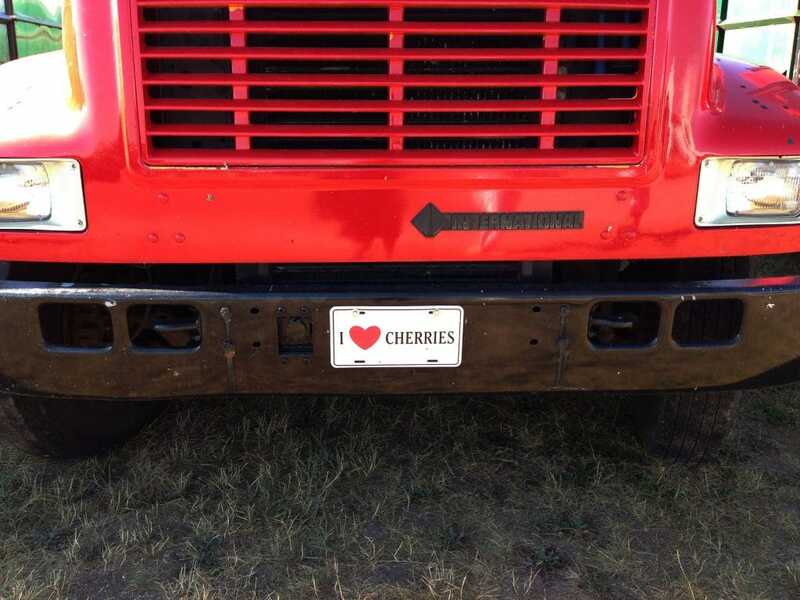 Because, well, read this and this, and you’ll understand the depth of our Michigan tart cherry-love. 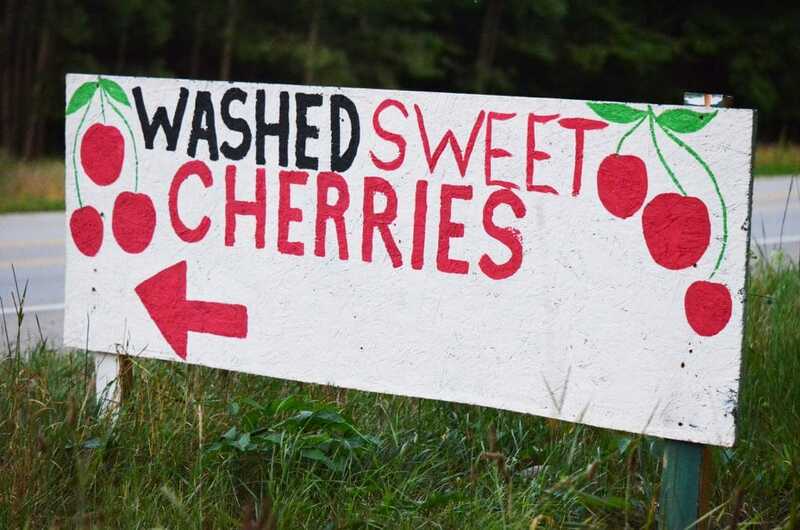 All of the tart cherry worship has left our sweet cherries, the dark reds found at stands dotting the sides of the road from Gaylord north to the U.P., in a bit of an eclipse of the heart. 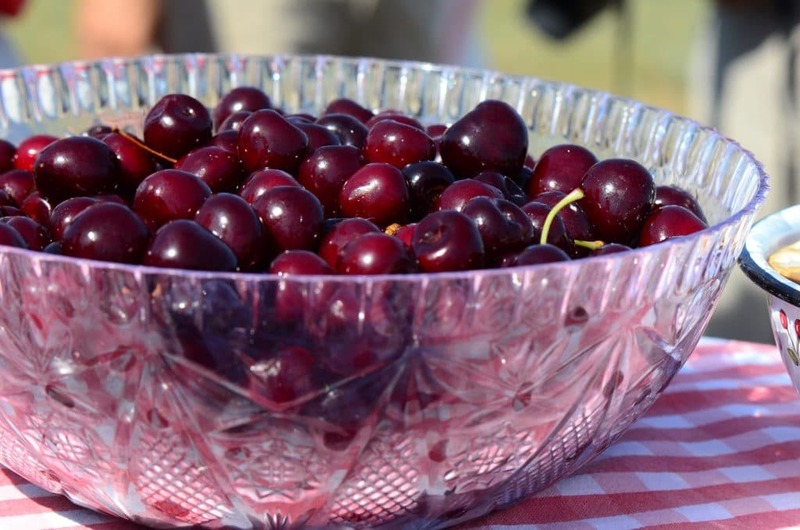 Perhaps cherries aren’t unlike people; sometimes the sweet ones get less attention. 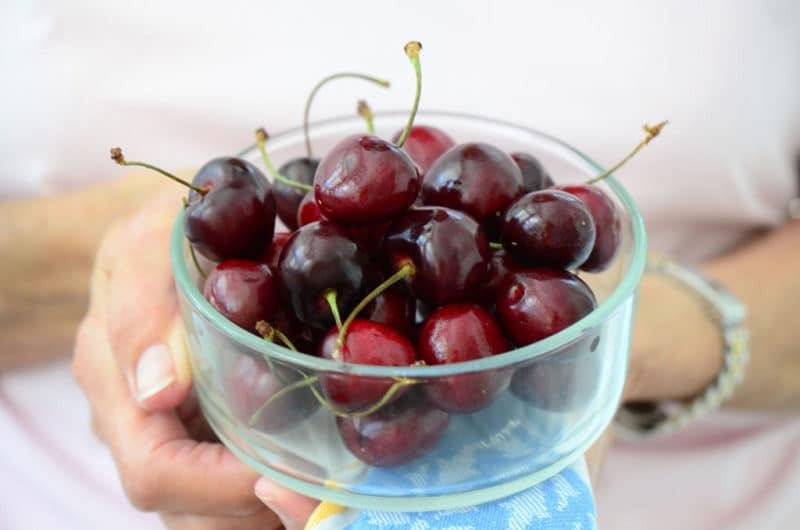 Sweet cherries are not good for pie, so around here we end up just eating them, handful after handful, spitting the pits ever-so-properly into a fist, or wildly out the car window. But the cook in me has been wanting to do something more (meaning “in addition” as opposed to “better”). 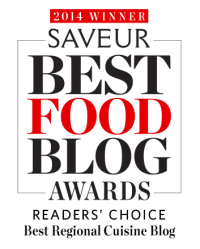 I did a double take, then, when I saw a recipe from Saveur, a Middle-Eastern style dish featuring sweet cherries, but savory. As a salad, with herbs and our beloved walnuts all dressed in a pomegranate molasses vinaigrette. The salad is so gorgeous, I just knew its beauty was a harbinger of delicious. Now. This isn’t tart cherry galette with cream cheese crust (get after that too, I beg you). 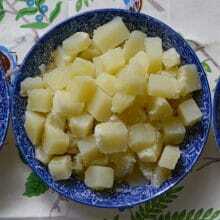 It is salad, and you know the Lebanese love salad. This one is going to be a new and regular addition to our summer repertoire, perfect with lamb, pork, beef, fish. Or, honestly, for dessert. Call it post-script, if not dessert. Amazing how a little attention to the quietly sweet—here the cherries, but surely it applies all over the place in our lives—reveals how exciting, how very exotic and noticeable, they can be. 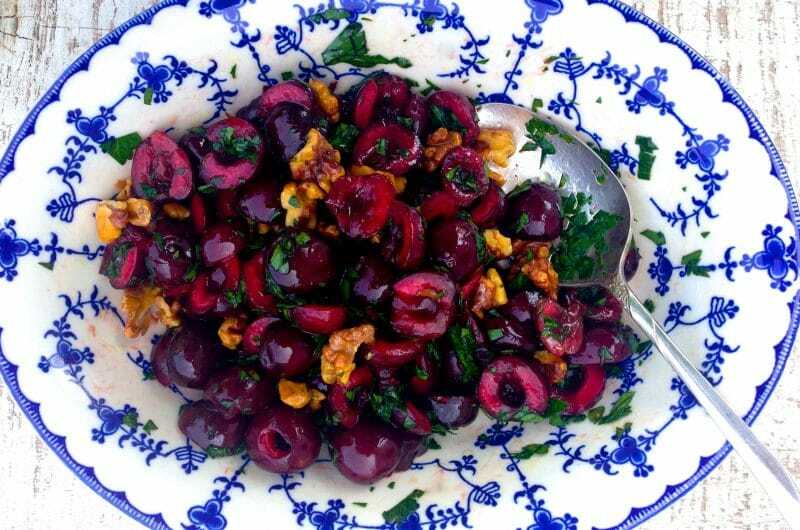 In a lovely small salad bowl, combine the cherries, walnuts, and parsley. In a small bowl, whisk the pomegranate molasses, lemon juice, olive oil, and salt until it emulsifies. 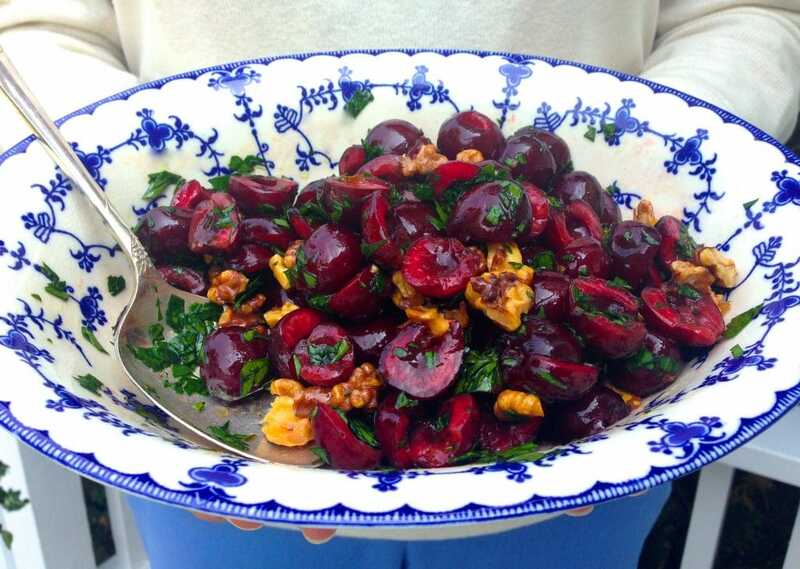 18 Responses to "Cherries with Parsley, Walnuts, and Pomegranate Vinaigrette"
Cousin Maureen, this recipe looks like something we need to try this weekend! Where does one procure the pomegranate molasses? Hi cousin! You can buy the pomegranate molasses at Woody’s! I am amazed at myself…I have done something u haven’t….hehehe! I’m saving this recipe for later. Hopefully not much later.My grandmother Martha on my mother’s European side of the family shared a great recipe called Coke Salad.It uses walnuts, cream cheese, Royal bing cherries, crushed pineapple and Coca Cola. The base of it is Cherry Jello. (8oz cream cheese, 1 cup cola, handfull of chopped walnuts, strained 8 0z. can pineapple, 1can bing cherries strained. Of course your fresh tart or sweet cherries would certainly be better.) You would love this if you like Jello and Cherries. 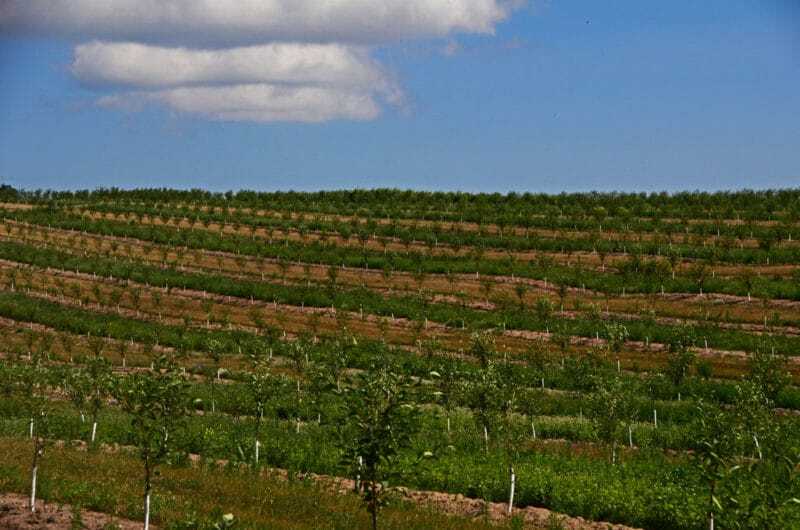 Hi, Maureen…I live in Charlevoix and am wondering where I can purchase pomegranate molasses? 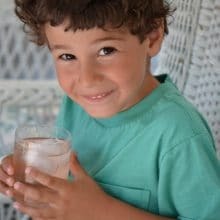 Hi Vicki–locally Glen’s Fresh Market has carried it; also try Symon’s in Petoskey. A sure bet is online; check out this. Thanks! BTW my first job out of business school was working with your dad and Fred Abood — waaay back in 1965. I owe much of my current success to the training I received in that office. Wow, that is just wonderful Vicki, thank you so much. My father would be very proud of that comment. This is so beautiful, I would love to add it to the menu at my restaurant! Your ideas and photos are always so incredible, I hope that we can work together on a project some day! Thank you so much Nancy! I look forward to working together one day, and to dining at Nancy Kelly’s sometime soon! 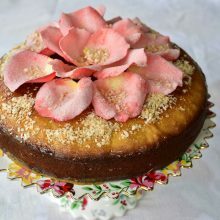 Maureen – made this last night to accompany grilled steak for dinner – it was awesome!! I’m so glad Brian, thank you! I made this last night to go with halibut and it was great. Used a little honey in place of the pomegranate molasses and added a bit of fresh mint because i had it. I will make this again. Wow, delicious idea with halibut! Thank you for sharing! Thanks Maureen! This salad is delicious and beautiful. And I love the narrative about cherries, it really builds up that nostalgia for home. I made a variation last night with grilled peaches in place of cherries and it’s great that way too. Pretty much anything with this ratio of parsley and walnuts is tasty to me! Wow, sounds delicious with grilled peaches!